Do you like Bear in Super Action Adventure 3? Share it with your friends. 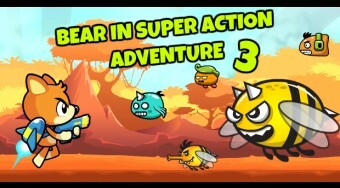 Bear in Super Action Adventure 3 - fly with an armed bear across the sky and dispose of different types of enemies.